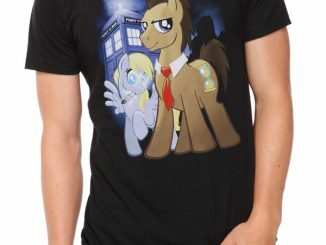 Friendship is magic? No, friendship is money. 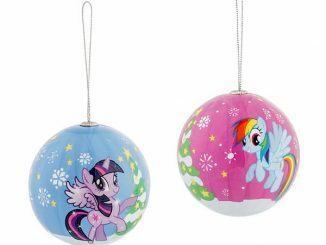 This My Little Pony Friendship is Money Wallet makes that statement for you, whether you are a girl fan or a Brony. 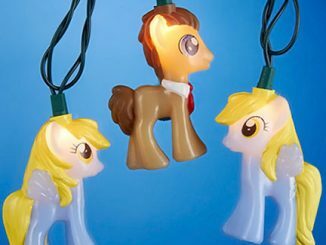 Put your Pony where your money is. 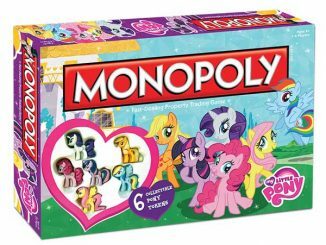 Or is that your money where your pony is? 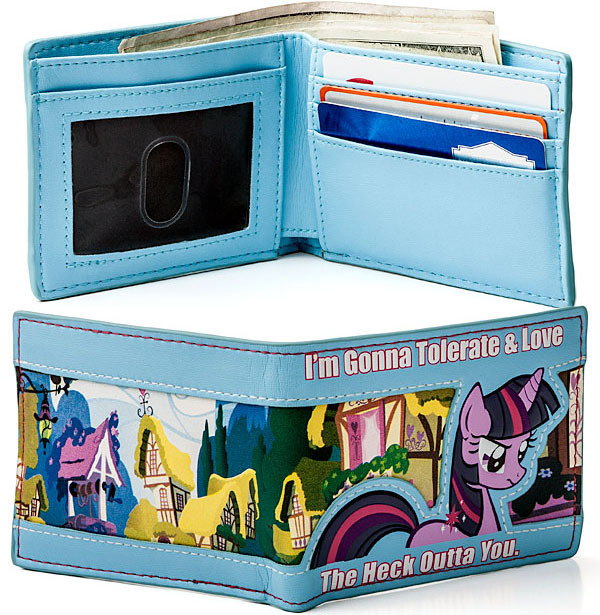 This awesome wallet has room for 3 credit cards, cash, business cards, and your ID. 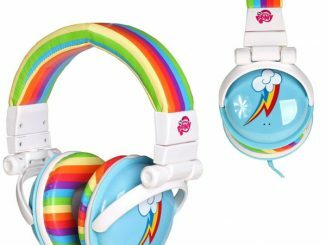 This is officially-licensed My Little Pony: Friendship Is Magic merchandise! 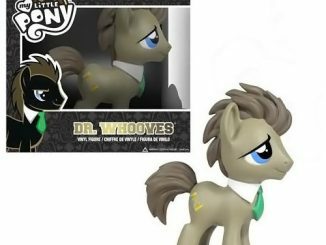 Not some knock-off Pony wanna-be. Light blue, embossed, polyurethane applique over a polyurethane base featuring scenic Ponyville. Inside of wallet is light blue. Lining is black polyester. 3 card slots. 1 clear ID window. 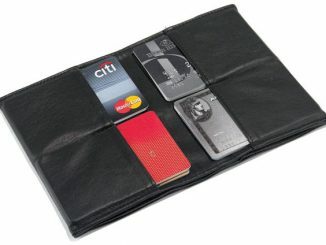 Extra pocket behind card slots for business cards or your fan club membership card. 3 1/2″ x 4 1/4″ folded, 3 1/2″ x 8 1/2″ open. 1/4″ thick empty. 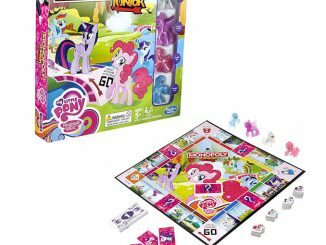 Officially-licensed My Little Pony: Friendship Is Magic merchandise! 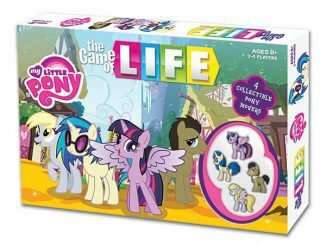 Contents pictured do not come with wallet. It’s colorful, hopefully full of cash and has a great message on the outside. 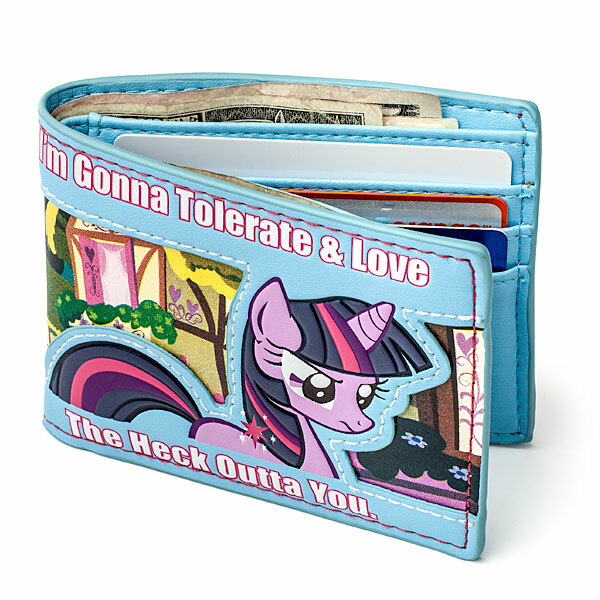 Some Pony is going to be very happy with this wallet. 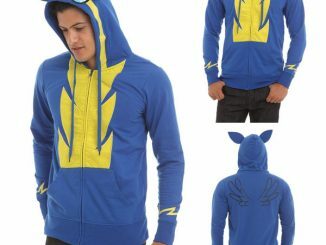 Just $16.99 from ThinkGeek.com. 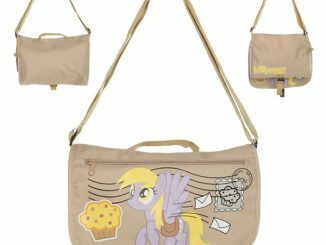 While I think the design of this wallet is beautiful, I find it kinda annoying the Twilights’ cutiemark is floating in mid-air, also pretty hilarious! ty, now i can’t unsee that….